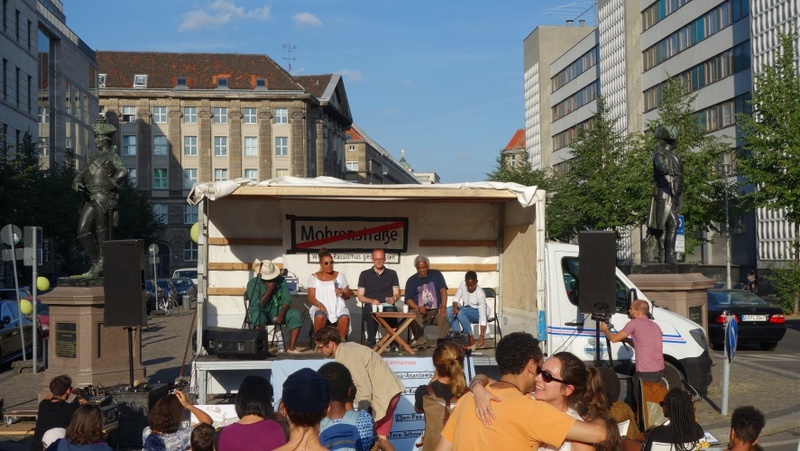 In August 2018 many black and brown activists gathered in down town Berlin on Mohrenstrasse—or M-Strasse as it is referred to by them—for the fifth annual “street renaming festival”.They put up banners and hung balloons. There was a panel discussion about the struggle to rename the M-Strasse, which has been on-going since 2004, and the various issues of racism, colonialism and belonging that renaming ties into. There were musical performances and the ritual marking out of the proposed new name, Anton Wilhelm Amo Strasse in chalk in the streets. The festival pointed to Berlin’s contrasts and contradictions, the radical oppositions the British-Ugandan writer Musa Okwenga, a recent migrant to Berlin, signalled in his piece. How does one make sense of the fact that across this open-minded city there remain street names that are as innocuous as they are racist? Names like Wissmann Strasse, that honours the general known for the violent and ruthless suppression of indigenous people in what is today Tanzania or an unreflective naming of a U-bahn stop after the anti-slavery novel Onkel Tom’s Hütte (Uncle Tom’s Cabin) on the U3 line. Berlin’s urban fabric is surprisingly richly textured with colonial traces. It does not bear repeating that here streets commemorate colonial figures, museums are stocked with artefacts from colonised nations, and the basement of the Charite Hospital and other institutions of the Prussian Cultural Heritage Foundation are chockfull of African skulls collected for ‘scientific research’ (see South African historian Rassool’s critique of German museums’ management of human remains here). 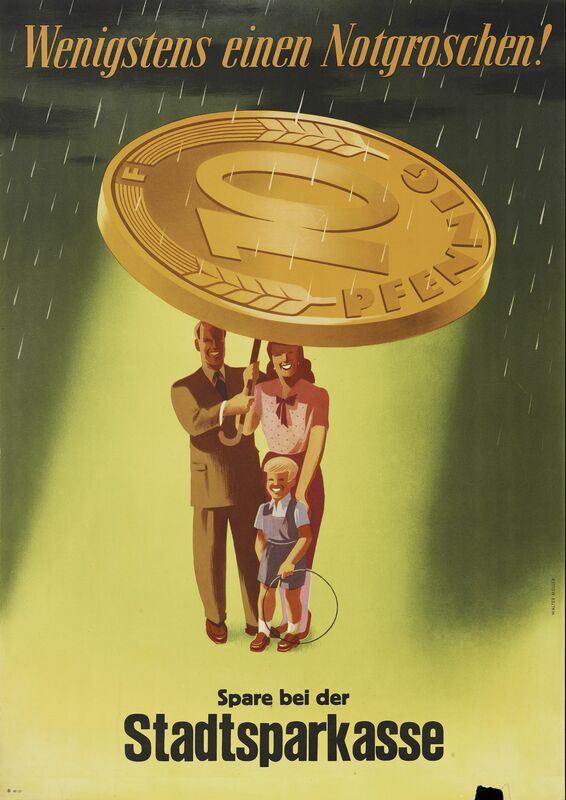 But recognition of Germany’s colonial histories, especially in museum settings, and their transformations have been slow and seen as out of step with other European nations. Post-colonial critiques—mobilised almost 10 years ago already by activists and scholars such as Nikita Dhawan, Noa Ha and Grada Kilomba—have been slow to gain mainstream traction in Germany, dismissed as the false complaints of an annoying minority. As the German curator Cornelia Knoll pointed out “the myth of an all-white, Christian German society largely persists. So does the idea that anyone who is black only arrived here in the late 20th century or the 21st as refugees.” Colonial place and street names therefore contribute to black Germans feeling alien in their own country, to quote the German rap group Advanced Chemistry (h/t Adam Benkato). Sites and streets specifically, have become important rallying points for highlighting colonial legacies, ongoing racist discrimination and for claiming black histories in the city. The first major victory was for the renaming of the Gröbenufer—which referred to a colonial explorer—to May-Ayim Ufer, after the black female activist and poet. And after years of agitation and campaigning, activists have succeeded in pushing through the renaming of three streets named after colonial officials in what is known as the African Quarter, securing new names of African figures of esteem and struggles of resistance. There has been concerted backlash from local street committees and groups resistant to change. Naturally, right-wing ideas and politics about “culture” and belonging sometimes also filter into these arguments. In resisting, some groups have cited the cost of street renaming as being prohibitive. Others indicate that they are against any corrections in memorial culture and argue that street renaming is historical erasure. They have also argued that the founders of the German colonial empire cannot be judged according to the values of the present as their actions were in line with their colonial and racist contemporaries. Activists have countered that they are not interested in erasing but rather foregrounding racist histories by not simply overlaying them with new names, but by calling attention to their significance using information plaques. The renaming of streets is an important urban decolonial practise. Names and naming, one of the panelists at the August 2018 street renaming festival pointed out, is fundamental to human communication. To name is to render or revoke dignity. But if South Africa is used as a barometer of the work street renaming is meant to do, then it is not at all a straightforward process, and one that can surface all kinds of tensions in black communities. This is a slightly adapted version of the piece titled Decolonising Streets, which was first published on the website Africasacountry.